Walk into any puppy store with a dog lover and watch how emotionally attached they can become. Now, what do you think would happen if the store owner allowed the pet lover to take a puppy home for a few days before deciding whether to buy the puppy or not. What do you think will happen? People buy on emotion and then justify with logic. Knowing and understanding this is key to understanding how and when to use the puppy dog close. If you are in the business of selling pets, it is pretty obvious how, when and why this closing technique works. But can this work for any other type of product sale? You better believe it can, and you may be surprised at how many sales industries can make effective use of the puppy dog sale. Auto dealers have used a modified version of the puppy dog close for years. They call it the "test drive." Car shoppers are allowed to take a car our for a test drive and immediately begin seeing themselves as owners of the car. A smart car sales professional should always suggest that the customer drives the car to the customer's home and park it in their driveway. That way, the customer's neighbors see them driving a new car, and they get the visual feedback of having a new car in their driveway. These are all very powerful and highly emotional sales tools! Those who sell office equipment often offer a free, no obligation in-office trial for their products. The customer gets to use the new equipment in their office environment and can take advantage of all the new features and improvements of the new system over their old piece of equipment. There are only a few dangers that you need to be aware of. Fortunately, these are somewhat controllable. The first is sending a product home with a prospect who is not properly qualified. For whatever reason, people who can't afford a product or do not have purchasing authority love to act as if they can or do. These prospects will be eager to accept your offer to take the product home but may have no means to pay for it. You need to make sure you qualify that the customer can pay for the product and can make the purchasing decision. Remember that in sales, many people can say "no," but only a few make the authority to say "yes." The next is if the product is not what the customer wants or needs. It can be avoided by doing a good job at making sure that what you are proposing is the right product. Letting a customer take home a Mercedes when they need a pickup truck will probably not result in a sale. The next is the least avoidable danger. It is when the product you send with the customer fails. Imagine sending a car home with a customer that experiences a major (or even a minor) operational issue. 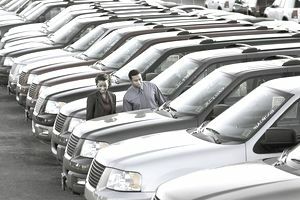 Unless the offer on the car is truly too good to refuse, the car will be back in your lot as soon as the customer can get it there. Placing computer or any other piece of office equipment that has something wrong with it will not only blow your deal but may also destroy your credibility with the customer. This means that you will not only lose the initial sale but may never be able to sell them anything ever again. In the end, the puppy dog close is a very effective closing tool that, if used properly, results in more closed sales than in lost sales. Make sure you qualify completely, send home the right product and make sure that what you are sending home with your customer is thoroughly checked and is in tip-top operating condition. This close will obviously not work for all industries but it will for most. Get creative and set up a "best practice" cadence for your company. While you may not close every puppy dog close, you will probably close much more than you will lose.